2002 Chevy sierra 1500 crew cab. 155000mi. Running fine, an hour later went back out, and lcd gear shift/odometer, cruise, a/c, fuel gauge, temp gauge, not working all at once. Battery/oil gauges still work. Has had faulty door lock/unlock problems in past, but has fixed itself over time. New starter, fuel filter, fuel pump, battery is 1-2 years old. Any help is appreciative. Thanks!!!! Take a volt meter and see what the voltage is at the cruise fuse 10 amp in the left IP fuse block with the ignition on. Don't remove the fuse when you are checking voltage at it. Don't have one, ill get one and reply shortly. Probes wouldn't fit, so took out "cruise" fuse, tested 2 ohms I believe. Replaced another fuse that fixed my gauges, so now a/c, cruise control, led mileage/prnd12 don't work. Checked all other fuses. 200 volts out of a 12volt battery is a pretty good trick. Oops, long day, don't judge. I meant 2 ohms. I was just reading wrong scale. Those trucks are notorious for instrument cluster failure. I bought a 2003 Sierra last year and my mileage/shift selector indicator wasn't lighting up. It would flash the mileage right when I started it though. It also seems like I remember one of the mechanical gauges not working but can't say for sure. I ended up having a guy on ebay rebuild it for a much cheaper price than a new cluster would've cost. He fixed the mileage/shift selector indicator and replaced with all new stepper motors. I think it cost about $50 + shipping. Definitely follow any testing procedures the mechanics on here give you before jumping the gun though. I just thought I'd throw it out there as a possibility and last resort. Thanks for the heads up. I await the mechanics responses, but its good to know another possible solution. I actually just checked. LED gear shift does flash before starting. In between off and ignition on. With "cruise" fuse still in, ohm meter went all the way to zero. Same as touching prongs of meter together. Same for all other fuses. Relays are all good also. Any other suggestions? Why are you measuring ohms? You should be measuring voltage at the fuse. You don't have to remove the fuse to make your checks. Sorry, not used to reading this type of meter. A fuse like IGN1 in the center of IP read about 65, while cruise and HVAC(directly above) read 0. This was read at 50 DC. You need to find someone that knows how to use a meter and have them do some measurements for you. As not having the 20 DC, on my meter, I also ran it on 10, which still read 0, while ign1 read max DC. What kind of meter do you have? Model number? Etek, 10729W, AC 10/50/250/500, DC 2.5/10/50/250/500. Test the vehicle's battery with your meter, so you know it is reading right. The battery should be around 12.6-12.8 volts. 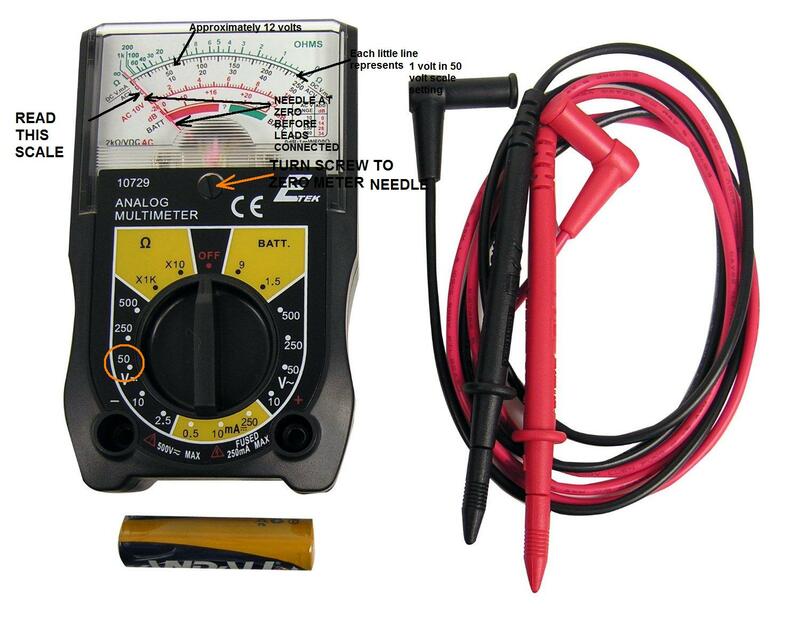 You really can't get precise measurements with that meter and you don't want to be testing sensors or computer circuits with that because it doesn't have enough impedance. Touch the red lead to battery positive post and the black lead to negative post. Reads 12 on ign 1, 0 on cruise. With ignition on. What is the voltage at the HTR A/C fuse 25A with the ignition turned on? You have no power from the ignition switch. That either means you have a bad switch, there is a wiring/connection problem between the switch and fuse panel, or you don't have power to the switch for that circuit. To see if it is wiring or switch problem, you need to check voltage at the ignition switch itself. This is the picture of the ignition switch and its harness. The connector that is circled plugs into the fuse panel. 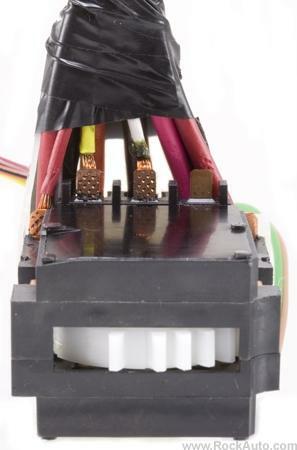 The orange wire on that connector is the circuit that feeds the fuses that have no power. You can check for power up at the switch itself. The red with white stripped wire should have 12 volts all the time. If it does, then pierce the orange wire and check for 12 volts with the ignition on. If you don't see 12 volts, you need to replace the ignition switch. If you see 12 volts, you have an open in the harness or a problem inside the fuse panel itself. As I was waiting for a new ignition switch to come in, one day it all just started working again. So, is it just a short in my wiring, still possibly the switch, or just an intermittent occurrence?